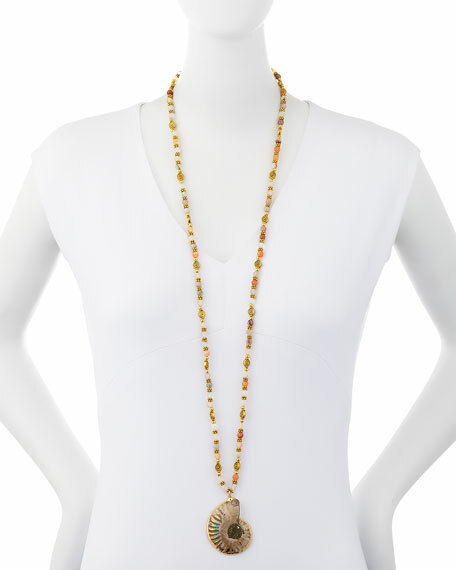 Long beaded necklace by Devon Leigh. Mixed beads, including sunstone, moonstone, quartz, agate, and ammonite. 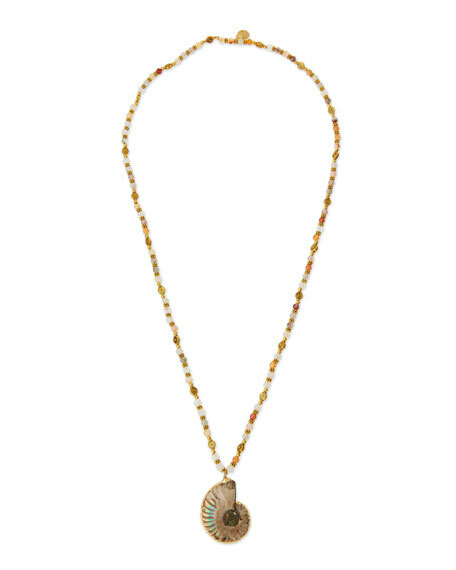 Coiled shell pendant, 2"L x 1.8"W.
For in-store inquiries, use sku #1900563.